Over-the-counter eye drops might seem like an easy solution to dry eye, but it’s not always that simple. 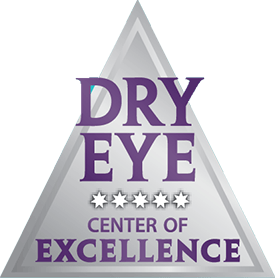 While drops may help eliminate the symptoms that come with this common eye condition, few people know that there are several forms of dry eye that may require alternative treatment. 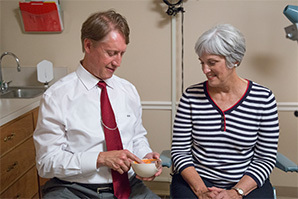 Patients suffering from dry eye in the Louisville area can learn more about the condition, and the many treatment options available, by scheduling an eye exam at Dr. Black’s Eye Associates. Many people assume their tears are made up of salty water, but that’s not exactly the case. Our tears are made up of three very important components: mucus, oil, and water. Each of these elements forms a layer to protect the cornea, and dry eye syndrome occurs when there’s a problem with one or more of them. Usually, this means that a gland that produces a component of the tears isn’t working correctly, leading to irritation. These are the most common forms of dry eye. When certain glands in the eye are clogged, they will produce a thinner coating of the oil layer of tears. This allows tears to evaporate faster than they should, leading to evaporative dry eye. Symptoms are the same as any other form of dry eye, making it impossible to know the difference without seeking out an eye doctor. The only cure for this specific condition is to unclog the glands so they can produce a thicker layer of oil. 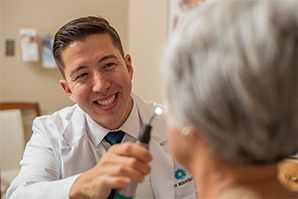 Our optometrists use LipiFlow® to alleviate evaporative dry eye in Louisville, which is a device that uses heat and slight pressure to unclog glands. This in-office treatment takes just 15 minutes and does not affect your eyesight. Our eyes produce tears every time we blink, ensuring the cornea is continually moist. Full of antibodies, our tears are also essential to our eye health. When our glands don’t produce enough tears, it leads to aqueous deficient dry eye, which causes more than just irritation. Since the antibodies found in our tears aren’t being released, the eyes will become inflamed and may also become infected. Over-the-counter eye drops can help to alleviate some of the symptoms, but a prescription is required to reduce inflammation. You might also need antibiotics and steroids to address any bacterial infections that may be present. 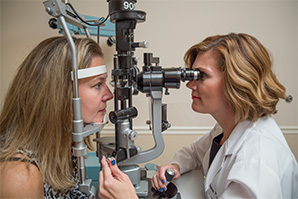 Using eye drops might be a temporary solution to a much more serious issue, but to get real relief you should see an eye doctor if you’re experiencing dry eye in the Louisville area. 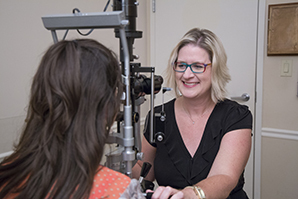 With multiple locations in Kentuckiana, it’s easier now more than ever to schedule an appointment with one of our excellent optometrists at Dr. Black’s Eye Associates.